Jamie Whincup says he was disappointed to be handed a bad sportsmanship flag for his exchange with Scott McLaughlin during the first leg of the ITM Auckland SuperSprint. 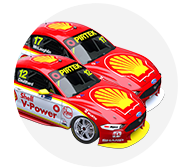 Championship leader Whincup led McLaughlin during the second stint of the Pukekohe opener, after the Shell V-Power Racing driver jumped up the order with a short fill at his first stop. The pair slugged it out, with McLaughlin trying to go around the outside of the Red Bull Holden at Turn 10 on lap 18. After McLaughlin wound up putting two wheels on the grass, Whincup was issued a bad-sportsmanship flag, but continued to run ahead until lap 39, after the first Safety Car period. During his Turn 8 pass for what was then third - Shane van Gisbergen and Mark Winterbottom having jumped the pair during the second stops - McLaughlin ran Whincup wide on the exit. The six-time champion finished fourth, but was perplexed by his early sanction, believing the pair had raced fairly. 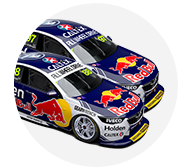 “At the end of the day, car #17 was too fast, we just didn’t have the pace, which really hurt us,” Whincup said of McLaughlin. “I did my absolute best to keep him at bay, but ultimately the championship is going to be won by pace. “I’m a bit disappointed to get the bad sportsmanship flag. I think I got it because I’m not a Kiwi! “He bombed me in the middle of the hairpin and then we had quite a lot of contact. 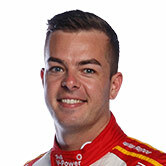 McLaughlin finished third to close to within 18 points of Whincup in the title fight with three races to go. Despite his wild moment, McLaughlin said he had no qualms about the on-track battle. “I was holding my breath when I was full locked right, around that fast sweeper,” he said of running wide. Whincup and McLaughlin dropped to third and fourth during the second Safety Car period, pitting just before it was called for James Courtney’s beached Commodore. Eventual victor van Gisbergen and Winterbottom pitted one lap later, with the erstwhile leaders delayed by slowing before being waved past the Safety Car. 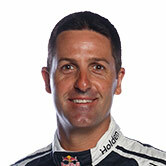 “There was a mix up with the Safety Car, I thought I was the lead car and so did the team,” Whincup said.